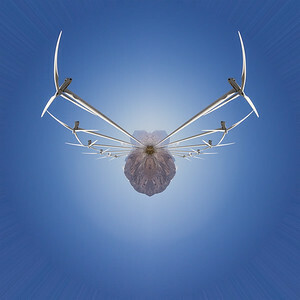 This tiny planet was originally a photo of the windmills out in Palm Desert, CA. Now it could be a space ship in Star Wars. 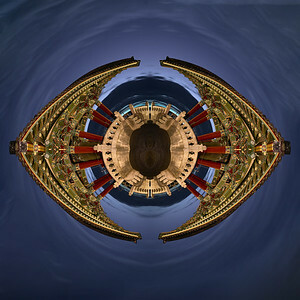 What do you get when you put the Santa Monica pier together in a Tiny Planet? 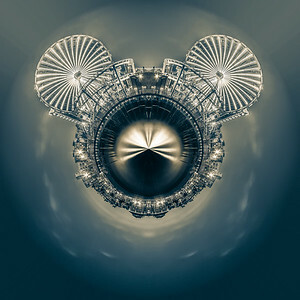 A rather famous mouse! 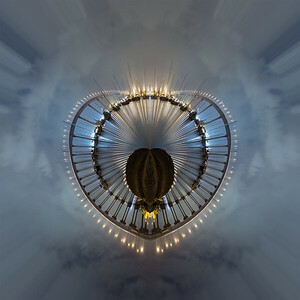 The Coronado Bridge becomes quite regal when turned into a tiny planet. 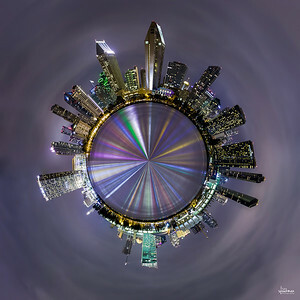 The San Diego skyline all wrapped up into a tiny little planet. 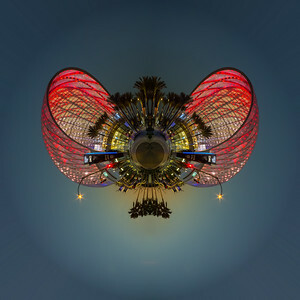 The new transportation center in Anaheim, called The Artic, turned into a tiny planet.